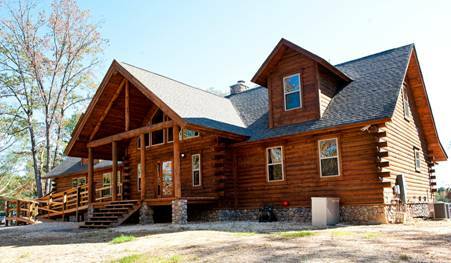 Henderson State University's Simonson Biological Field Station opened in 2011. The station was established with major donations from the Simonson Family. 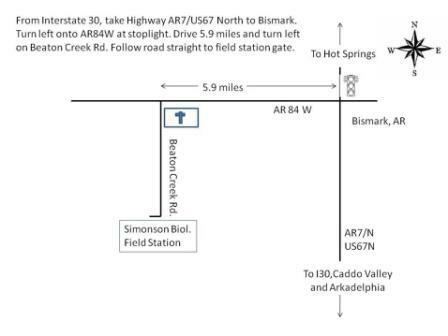 The mission of the Simonson Biological Field Station is to support the Henderson State University Biology Department in pursuit of scientific education and research that advances understanding of the natural world and promotes informed stewardship of the Earth. The station is a three-story 7,200 ft2 log structure. The bottom floor has student dormitory rooms, a resource room, and storage rooms. The main level includes living, dining, and kitchen space, two multimedia laboratory/classrooms and a research laboratory. The upper floor has office space, laundry facilities, and two fully furnished guest rooms. The station has a full-time manager to assist with logistics and other needs. The station has a two-slip dock with solar lighting, a pontoon boat, john boat, and a variety of canoes and kayaks. There is a 12-person van, an ATV, and a general use tractor. 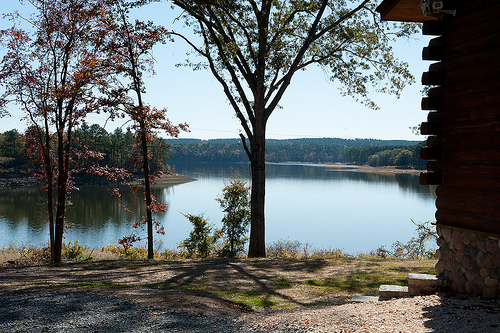 The station is located on the shore of DeGray Lake in the foothills of the Ouachita Mountains. 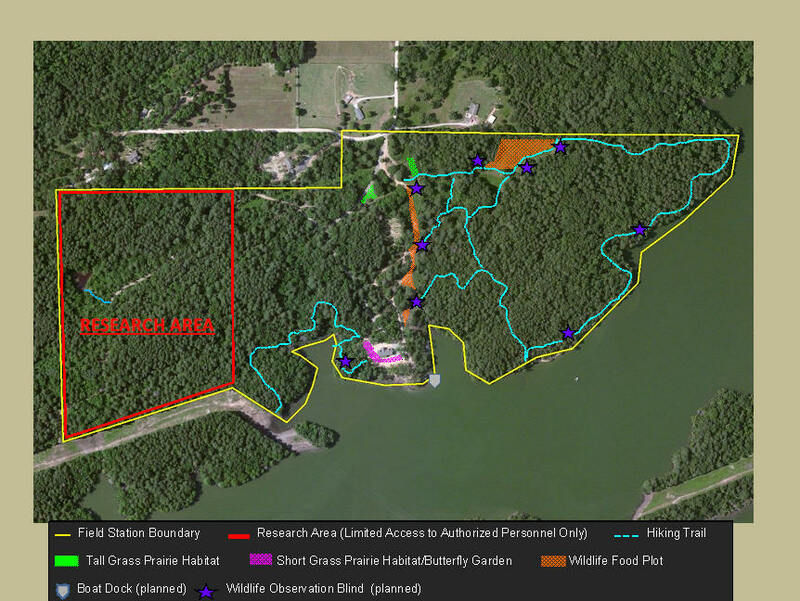 It has 184 acres of wooded upland forest, on long term lease from the United States Army Corps of Engineers. 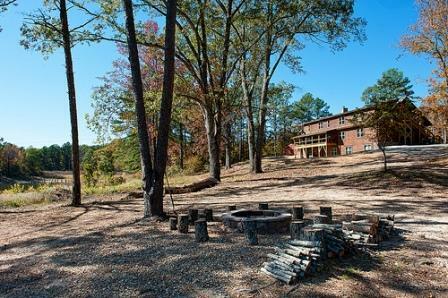 It is approximately 30 minutes from the Henderson State University campus in Arkadelphia, Arkansas, and 15 minutes from the resort town of Hot Springs National Park. When available, the station can be rented for events such as family reunions, corporate retreats, weddings, etc. Please contact us for details. Summer 2017. 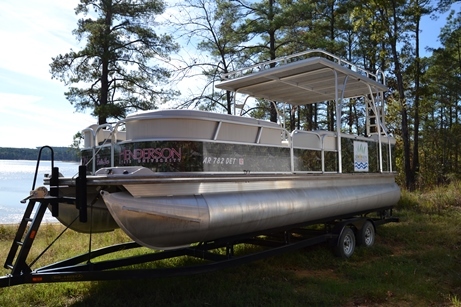 The Simonson Biological Field Station is in a quail habitat management partnership with the Arkansas Game and Fish Commission and the U.S. Army Corps of Engineers. Read an article here. Spring 2017. HSU Department of Biological Sciences to create wildlife and field biology track. See more here. December 2016. Thanks to a very generous donation by Col. Eugene Simonson, we are able to move ahead with plans for construction of a multi-use building. This metal frame structure will provide storage for equipment like our tractor, john boat and 4-wheeler, will provide workspace for construction and repair, and will be used as a meeting space for groups too large to be accommodated in our classrooms. September 2016. 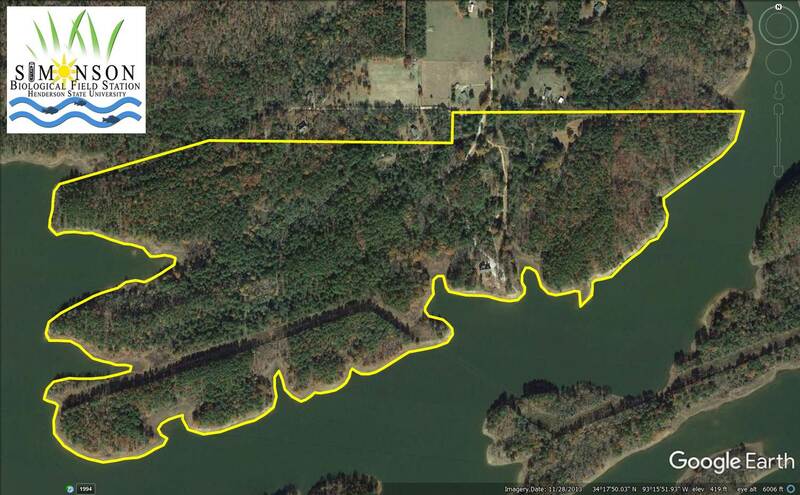 The U.S. Army Corps of Engineers has granted us a nearly 80 acre expansion to our lease. This increases our footprint to approximately 180 acres. This expansion will support teaching, research, and wildlife conservation efforts at the station. 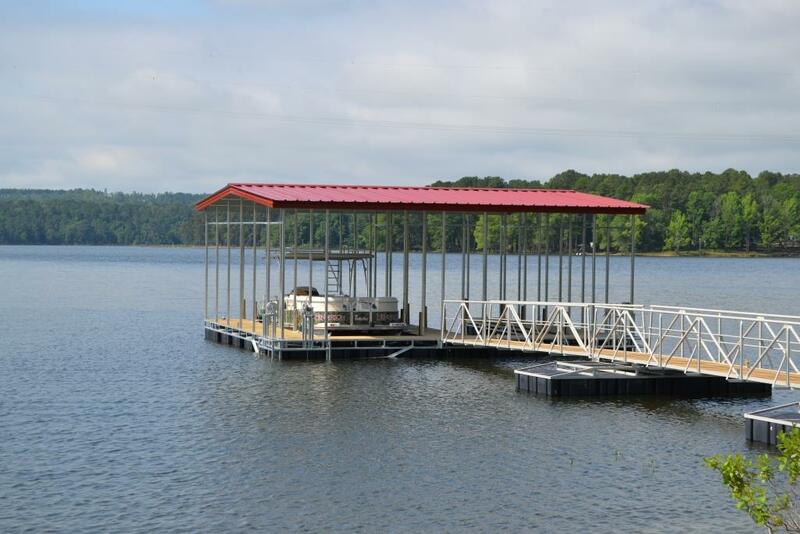 Completed in June, the station has a new dock. Funding was made possible by the Alcoa Foundation, a donation from Col. Eugene Simonson, and additional funds through the Henderson Foundation. April 26. Biology major Kevin Haney was recognized as the Simonson Biological Field Station's Wildlife Management Volunteer of the Year. Kevin put in countless hours working on the project, and was instrumental in development of a plan to improve wildlife management on the property. 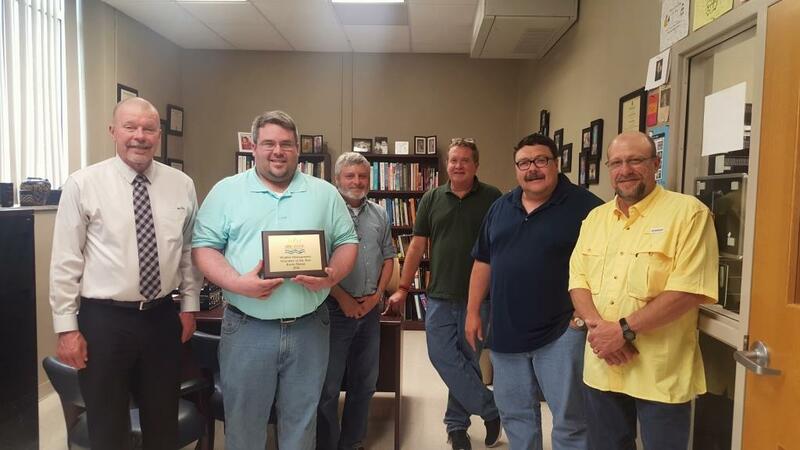 Haney (with plaque) is pictured with (from left) Ellis College of Arts and Sciences Dean Dr. John Hardee, Dr. Tommy Finley, Dr. James Engman, Biology Department Chair Dr. Troy Bray, and field station manager Mr. Allen Leible.